In the tradition of The Year of Magical Thinking and What Remains, this breathtaking memoir by a young Army widow shares her heartbreaking, candid story about recovering from her husband’s death. A world traveler, Artis Henderson dreamed of living abroad after college and one day becoming a writer. Marrying a conservative Texan soldier and being an Army wife was never in her plan. Nor was the devastating helicopter crash that took his life soon after their marriage. On November 6, 2006, the Apache helicopter carrying Artis’s husband Miles crashed in Iraq, leaving her—in official military terms—an “unremarried widow.” She was twenty-six years old. 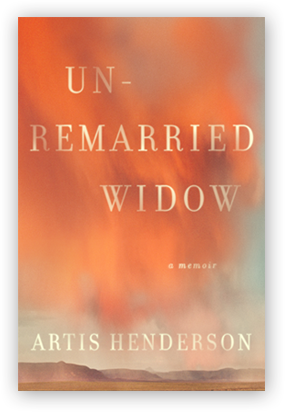 In Unremarried Widow, Artis gracefully and fearlessly traces the arduous process of rebuilding her life after this loss, from the dark hours following the military notification to the first fumbling attempts at new love. She recounts the bond that led her and Miles to start a life together, even in the face of unexpected challenges, and offers a compassionate critique of the difficulties of military life. In one of the book’s most unexpected elements, Artis reveals how Miles’s death mirrored her own father’s—in a plane crash that she survived when she was five. In her journey through devastation and heartbreak, Artis is able to reach a new understanding with her widowed mother and together they find solace in their shared loss. But for all its raw emotion and devastatingly honest reflections, this is more than a grief memoir. Delivered in breathtaking prose, Unremarried Widow is a celebration of the unlikely love between two very different people and the universality of both grief and hope.